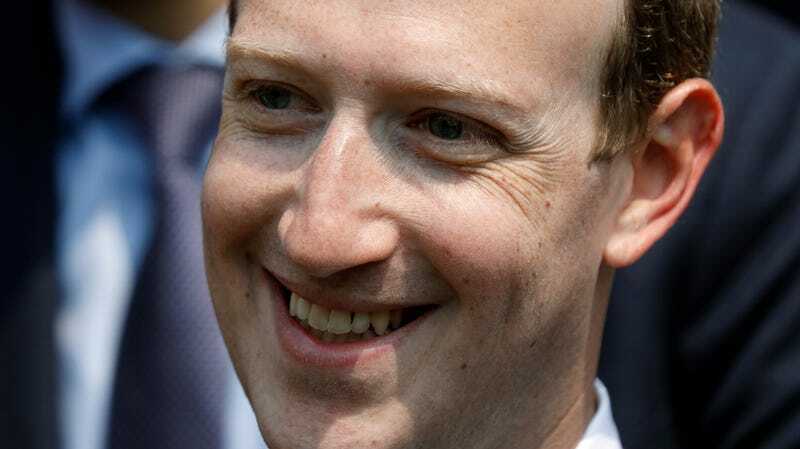 Facebook’s CEO Mark Zuckerberg smiles during a picture with guests attending the “Tech for Good” Summit at the Elysee Palace in Paris in May of 2018. Facebook is constantly updating or expanding on its procedures for mitigating the spread of misinformation, fake news, and hate speech on its platform. In a lengthy blog post, Facebook VP of Integrity Guy Rosen and Head of News Feed Integrity Tessa Lyons on Wednesday laid out Facebook’s latest stab at saving face, notably with a few systems that may actually help curb some of the misinformation that tends to spread like wildfire on Facebook’s own platform and those of its subsidiaries. The most significant changes will include introducing a “Click-Gap” signal into user feeds. Click-Gap will essentially examine whether links have a greater number of outgoing links from Facebook than incoming links from other sources, which the blog post said “can be a sign that the domain is succeeding on News Feed in a way that doesn’t reflect the authority they’ve built outside it and is producing low-quality content.” Think of it sort of the way that Google works, with rankings based on citations on the broader web rather than purely based on Facebook’s internal engagement. And by “engagement,” we mean the link’s ability to enrage Facebook users. Additionally, Facebook said would be bringing in “outside experts” to weigh in on how to combat its fake news problem, and will be expanding the role of the Associated Press in its ongoing fact-checking efforts. Facebook will also allow users to scrub their past posts from groups when leaving them. One thing it won’t be doing, however, is debuting its anticipated Clear History tool to allow users clear information the company has collected on them. The feature was expected last year, but after ongoing delays, Engadget reported Wednesday that the company is again pushing its release back to fall of this year.